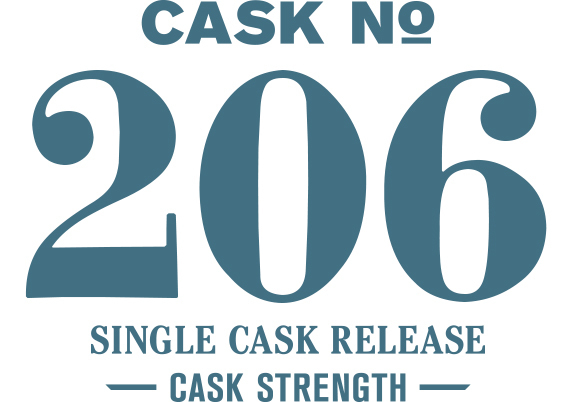 Besides honoring our hometown area code, we found this single cask release exciting because it was extremely unique amongst the stocks of whiskey maturing in our rackhouse. It is one of only a few casks that combined our base Washington Select Pale Malt with just Pale Chocolate Malt. The result is a whiskey with a relatively reserved chocolate note on the nose, but a palate that celebrates it emphatically. Soft honeycomb with dry rose petals marks the nose initially, but time reveals even more with kettle corn and fresh chocolate chip cookies. On the palate an intense amount of milk chocolate leads, followed by a touch of jasmine at the midpalate before finishing out with a cream-filled chocolate doughnut.